The second wife of Charles ‘Sunny’ Spencer-Churchill, 9th Duke of Marlborough was far from conventional. His first marriage to the American heiress Consuelo Vanderbilt ended in 1920. Hardly surprising, as it was a marriage doomed from the start. Consuelo’s mother longed for her daughter to have a title, and Sunny was a Duke on the hunt for a rich wife. So, a deal was struck – Mrs. Vanderbilt warned her: ‘I do the thinking, you do as your told’ and Mr. Vanderbilt handed over a dowry of $2.5 million. Consuelo (the reluctant debutante) became the Duchess of Marlborough and chaletline of Blenheim, and Sunny got his cash. Gladys Marie Deacon was a society beauty with an unflattering past. Her father, Edward Parker Deacon, shot her mother’s French lover dead in their suite at the Hotel Splendide in Cannes, for which he was arrested, and then he went insane. Grief was not on the agenda for Mrs. Deacon and she soon ran off with an Italian nobleman. 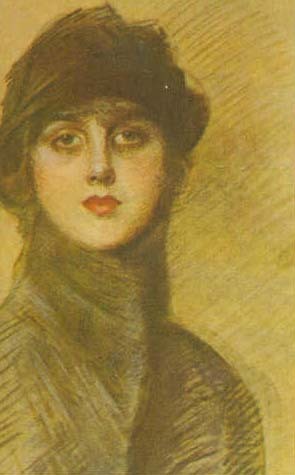 An American child brought up in Paris, she spoke with a French accent and was a celebrated beauty wherever she went – Rodin and Proust were among her admirers, with the latter writing: ‘I never saw a girl with such beauty, such magnificent intelligence, such goodness and charm.’ At the age of sixteen, when she visited Blenheim with a group of friends, the Crown Prince of Prussia fell madly in love with her, and during an outing to Oxford, the Prince kept turning around to look at her, much to the irritation of those seated next to him. When the Kaiser learned that the Prince had given Gladys a ring, he demanded she give it back. But she did not grumble, for she only had eyes for Sunny. Gladys was no shrinking violet, and she boasted that she had slept with every Prime Minister in Europe ‘and most kings’, too. Bemoaning her youthfulness and not the marriage status of the Duke, she said: ‘I am too young though mature in the arts of woman’s witchcraft.’ And acting on her statement, Gladys’s childhood dream came true when she became the mistress of Sunny. Though, it would be another twenty-five years until they were married; the bride was forty and the groom was fifty. Years before, at the age of twenty-two, Gladys had attempted to preserve her famous face by injecting paraffin wax into the bridge of her nose. This bizarre treatment proved unsuccessful and the wax slipped from its original place. 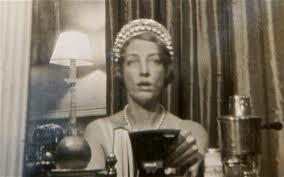 Diana Mitford remarked that her face resembled ‘a deflated balloon’. 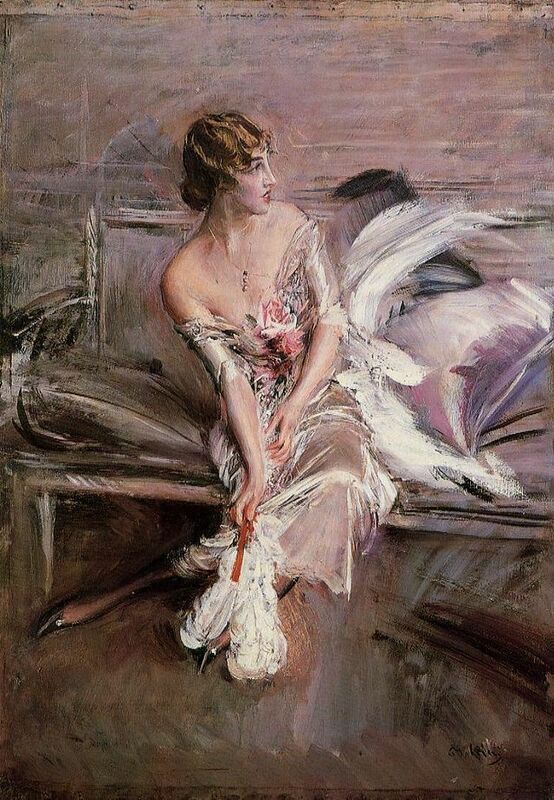 But in spite of her botched looks, she had charm in abundance, and she moved at the centre of 1920s society. In 1923 she was presented at Court ‘wearing a classically draped dress of silver lamé with a ceinture of silver embroidered in diamante’. All that glitters is not gold, and Gladys soon became bored with Sunny. She began to breed Blenheim Spaniels, and multiplying at such a rapid speed the dogs overtook the house, driving the Duke to distraction. With her behaviour becoming more and more erratic, the Duke distanced himself from her, especially when she brought a revolver to dinner and when questioned what she intended to do with it, she answered: ‘Oh, I don’t know. I might just shoot Marlborough.’ Needless to say, Sunny fled. To force his estranged wife from Blenheim, Sunny resorted to cutting off the electricity and dismissing her servants. When the removal vans arrived to ferry her things away, Gladys boldly stood on the steps and photographed the vans as they left. Sunny repeated the same tactics when Gladys moved into their London house in Carlton House Terrace. Diana Mitford, having just divorced Bryan Guinness and wallowing in her Eaton Square house awaiting sporadic visits from Sir Oswald Mosley, formed a friendship with the equally scandalous Gladys. She remembered with a degree of fondness, dining on the balcony overlooking the Mall, their table lit up by the streetlights below. Leaving the house was a hazardous undertaking, with guests moving along the dark landing, holding onto the wall as they negotiated the stairs to the front door. Sunny died in 1934 before their divorce was final. As the Dowager Duchess of Marlborough, Gladys moved to Oxfordshire where she lived as a recluse surrounded by cats. She wore hats and veils to disguise her famous face from curious onlookers and when a journalist became too familiar, she poured a bucket of water over his head. Her Polish helper, Andrei Kwiatkowsky, was her only link to the outside world, and from an upstairs window she would lower a key to the front door. In 1962 she moved against her will to a psycho-geriatric hospital in Northampton where she died in 1977, aged ninety-six.